The exponential growth of data is disrupting many different industries, and land surveying is no exception. Land survey companies are finding themselves handling more data than ever before. On the one hand, this fact allows them to provide their clients with more complete, accurate survey results, which in turn can help the clients make more informed decisions regarding their projects. On the other hand, handling this influx of new data using traditional data management technologies may not always be possible, and companies that aren’t properly prepared may find themselves completely overwhelmed. Fortunately, new developments in cloud computing are empowering land survey companies to adjust to this new reality and use data to its fullest potential and provide project managers with a simpler, more cost-effective alternative. Read on for a closer look at how moving to the cloud is redefining what companies can do with land survey data. Today’s land survey companies have to store survey results for thousands of different projects, with some of that data stretching back hundreds of years. As time goes on, each new project the company takes on will likely be more data intensive than the last one, especially with the amount of data that new technologies like drones generate. Storing all of this data in a traditional on-premises data center would be impractical. Every time the company outgrows their existing data storage capacity, they would have to manually add new capacity to their data center, causing great expense and inconvenience. By adopting a cloud-based infrastructure, the land surveying company can simply scale up its storage capacity whenever they need to, and the CSP will handle it behind the scenes. The result is that the land survey company will never have to run out of capacity. In addition, they’ll also free themselves up to spend less time worrying about their storage infrastructure, and more time thinking about the work that actually matters for their business. Today’s construction project work is more distributed than ever before. Keeping everybody on the same page—whether they’re in the main office or out on the job site—is a key factor in ensuring the project goes according to plan. As survey document files become more data intensive, and thus larger, sending them from person to person becomes time consuming and inefficient. With cloud data storage, users can simply pull the latest copy of a document from a centralized location. The cloud server can be accessed using any device. This includes mobile devices, so any worker in the field will have the same ability to access the documents they need as their counterparts back at the office. At the end of the day, the land survey company’s whole reason for collecting data is to make it available for customers to use, and cloud data storage platforms like Landpoint’s True Atlas helps in this regard as well. Land survey companies that take advantage of cloud data storage can provide an added level of value for their customers. Instead of simply dumping the processed data into their customer’s lap and then leaving them to figure out how to store, manage and apply it, a cloud-enabled land surveyor can store the data themselves, giving their customers with one less thing to worry about. In addition, the cloud can provide security and access control, ensuring that the right people—and only the right people—have access to the data when and where they need it. Cloud technology is making it easier than ever for land survey companies to manage data. In an era that’s increasingly defined by data growth, shouldn’t you work with a land surveying partner that’s equipped to handle that growth with the latest technology? Contact Landpoint today to learn more about our innovative approach to cloud data management. A construction survey typically consists of determining current site conditions for future above-ground and in-ground infrastructure. 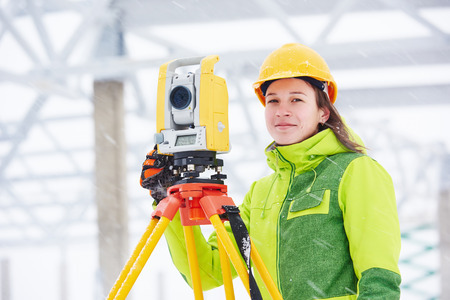 Land surveyors stake elevations for footings, collect topographic data for mapping existing drainage courses, invert elevations and diameters of pipe and manholes perform a number of other services. 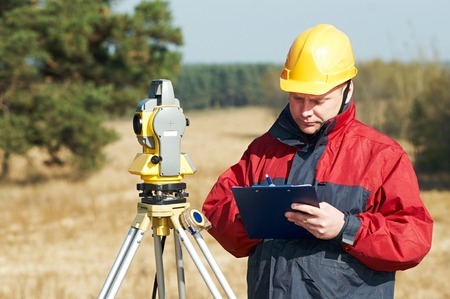 Land surveying services are used to establish the accurate location of proposed structures, accesses, pipelines, buildings, and other improvements. Most land surveying services are provided by local companies or companies with local offices. They typically have some prior knowledge of the area to be surveyed, including its history, soil& water conditions, sensitive areas, habitats and protected species. 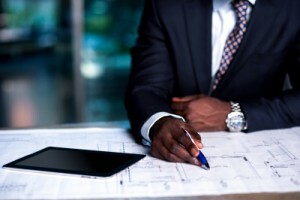 This not only reduces the time to get to the designated site, but also provides the client valuable area insight upfront, from which decisions may be made and plans designed. 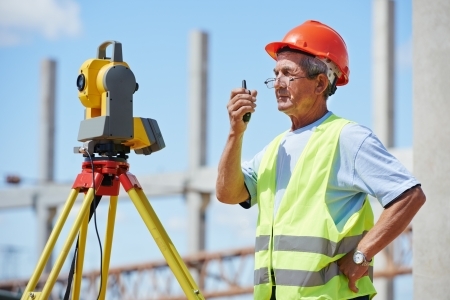 Land surveying services can include due diligence as well. Land survey teams may inspect buildings for hazardous materials such as asbestos, lead, and PCBs, which must be addressed prior to demolition, new construction or exploratory operations. 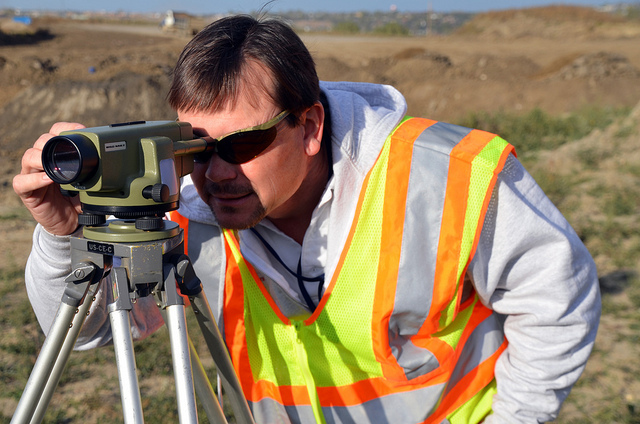 Land surveyors may also discover other issues such as buried fuel tanks or ground water contaminants. Retrofitting involves modifying existing structures or equipment to reinforce and add structural life to it. Many existing buildings, overpasses, bridges, and towers are being retrofitted to withstand potential seismic shaking and shocks. Surveying teams collect data which is used to construct a 3D model of the existing environmental features, structures, and objects. 3D scanning is ideal for analyzing, planning, and designing retrofit projects. The surveying team collects its data points in the field and creates a digital model that depicts height, width, and depth. 3D maps and point clouds show elements and measurements of buildings, utilities, construction and structural objects such as pipe, cable, and plumbing. This is very helpful when an existing building or structure (such as a bridge) is scheduled for retrofitting. Engineering departments find these deliverables invaluable when working on retrofit projects. For any given project there may be more than one surveying company involved. One surveying firm may well establish basic standards in the pre-planning phase for other surveying teams to follow. A responsible and reputable surveying company may set the standard for work production and quality, safety, schedule, and deliverables. This indirect competition and expectation tends to escalate project progress. Additionally, established standards clarify expectations which contribute to enhanced quality control. For more information on GIS, BIM, and pre-construction planning offerings, please take a look at our brochure.